Home inspections for pests happen under a variety of circumstances: prior to buying/selling a home, after noticing some pests in the home, or for your own peace of mind. 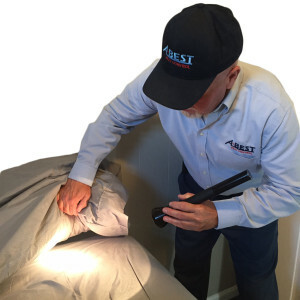 In any case, for the best pest home inspection in town: you need A-Best! When we come into your home, our goal is to ensure that you can inhabit it safely and pest free! Our techs are licensed and trained with ongoing education to ensure they know what to look for and how to respond to the situation. 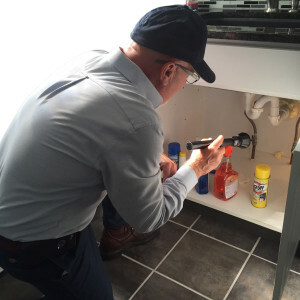 The inspection is the most critical part of the job because not only are we able to identify the problem, we’re able to get a good idea of what is causing the problem. From this point, we are able to move forward and properly strategize how safe and effectively rid your home of the infestation. This is very important, especially if you are in the market for a home. This report is often referred to as a “termite report” and will indicate any type of wood (structural) destroying organisms that may be present such as termites, carpenter ants, powder post beetles or fungi. Fungi is usually a result of excessive moisture. Most reports classify conditions as “section 1” or “section 2” items. Conditions that are currently causing more damage to the property are called “active” and classified in section 1. Those that are not currently causing damage, but are likely to if left unattended, are classified as a section 2. Speak with your realtor about structural pest inspections. In many cases, the seller pays for the cost of this service.